If you haven’t got wind of Mirvish + Gehry condos, you soon will. This duo, a world-famous architect and a theatre mogul, have joined together to create a commercial/residential planned community in a refurbished area of Toronto. The adjacent commercial and residential complex (consisting of 1,950 units) is the latest expression of mixed-use architecture. A choice of one and two-bedroom floor plans will be offered well before the 2020 completion date. Prices are TBA as of now, but expect them to be released soon. 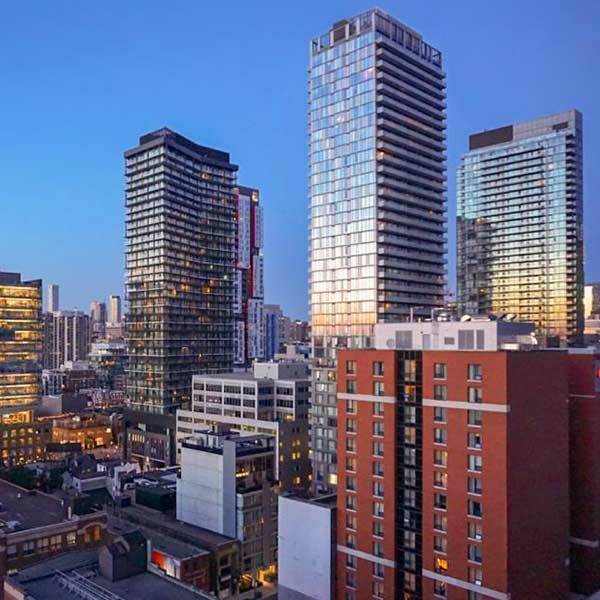 You get much more than you bargain for with the in-house lobbies, lounges, bars, restaurants, pool and recreational areas, fitness and spa facility of Mirvish + Gehry condos. 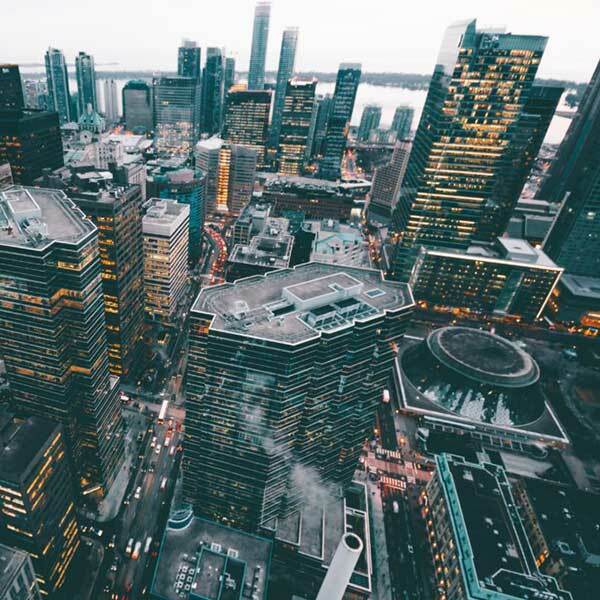 Public transport is a necessity in Toronto and the master plan community will be located within easy reach of the subway, expressway, and bus system. Residents will appreciate proximity to the St. Andrew and Union stations. Mobility is a matter of choice. 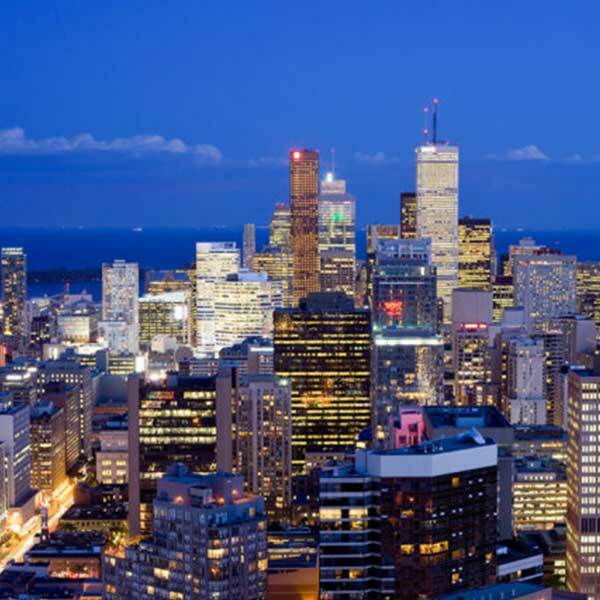 Walking is a definite must to enjoy the local attractions from Mirvish + Gehry condos. The OCAD satellite campus with its Princess of Wales Centre for Visual Arts is practically around the corner of the condominium. Top it off with the Mirvish Collection museum and you have the makings for an art oasis. 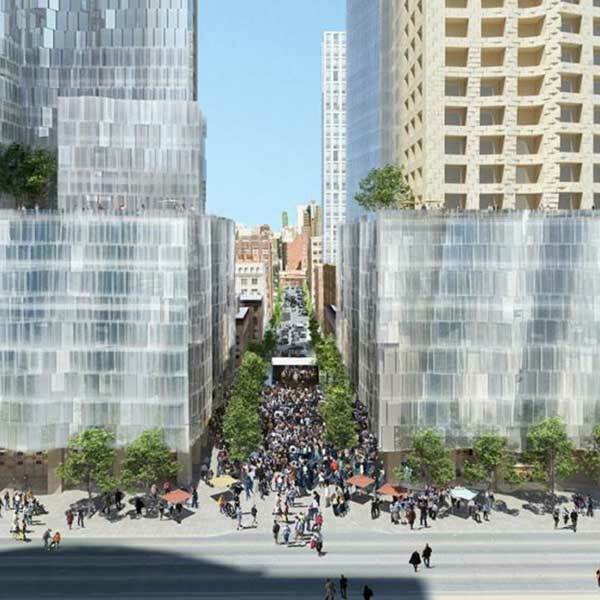 By 2020 locals will not recognize King West. 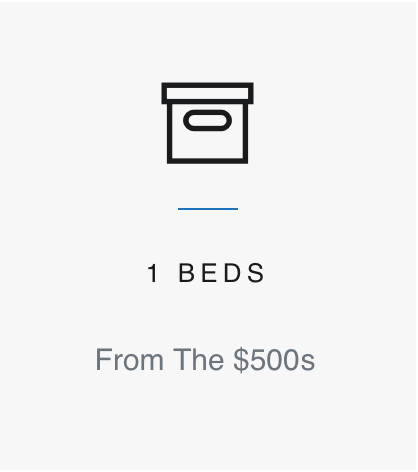 Total prices for the one-bedroom and two-bedroom units are TBA as of now, but expect them to be released soon. Their tangible presence will draw accolades and awe for the builder, Projectcore, Inc. and its team. Enhancing the condo towers’ height are six-story podiums that form the base of each. Imagine gazing through your picture window in the upper residential condominium section and viewing the surrounding glory of Toronto’s skyline. This is urban living at its best and it is one of refinement and luxury. Convenience is evident at every turn as strollers encounter retail shops, eateries, and businesses on the ground floors. Location is everything in real estate and Mirvish + Gehry have done their homework, selecting a prime area for their ​development. In keeping with the art focus, they are inaugurating the Mirvish Collection of contemporary art, destined to draw visitors from around the world. Projectcore delivers on an urban dream in Toronto. A luxury mixed-use community enriches the entire location. While it will grace the prestigious John and Simcoe cultural corridor, it has a character all its own. 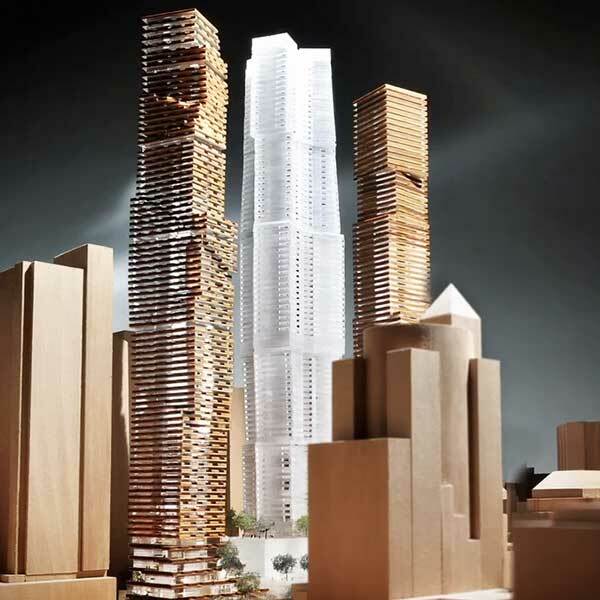 Mirvish + Gehry condo residents enjoying stellar views and numerous building amenities may have to be lured outside. Sooner or later they will want to visit the Mirvish Collection and the new OCAD ​University. ​Luxury shops​ abound strategically ensconced between shops, clubs, basic services, and multiple entertainment venues. With its almost perfect transit score, life is teeming on the sidewalks. You see passersby on their way to Union Station, and TTC and GO transport. There is much to do in an average day such as visiting Kensington Market or the nearby Entertainment District. A walk in the park on a summer day or a quick visit at an art gallery will raise your spirits. The name Frank Gehry evokes awe. A world-class architect, Gehry has accomplished more than most in his lifeline in major cities of the US such as Los Angeles and New York. Abroad is the amazing, innovative Guggenheim Museum, a visual jewel in Bilbao, Spain. Its dance of curving forms is beyond description. Toronto welcomes the boundary-breaking work of their native son. Hand in hand with developer Projectore, Inc., a company with twenty-five years under its belt, Gehry brings to King West a sky-reaching cantilevered design. It is brilliant, grand, and complex. As with all his new condo projects, there is nothing quite like ​Mirvish + Gehry condos anywhere in the world. Register Now to Get the Exclusive Suite Prices, Floor Plans, and Sales Access.